ORIGA Leasing was set up by Shrirang Tambe in May 2013 with a core philosophy of \'Access to Finance\'. It provides alternative financing through its asset leasing solutions to high growth companies across segments such as healthcare, sanitation, waste management, alternative energy, manufacturing and service oriented businesses. ORIGA Leasing focusses mainly on leasing of assets which generate revenues for its clients. It has developed an highly innovative solution of Asset Life Cycle Management (ALCM) which helps its clients conserve their capital for working capital and marketing while ORIGA takes care of their assets in totality. Thus, the internal accruals and leasing funds the next expansion plan. ORIGA is the first company in the alternative financing ecosystem with respect to asset leasing for high growth business models. According to industry reports, the market for alternative financing is conservatively estimated to be USD 50 billion dollars. There is a huge gap between the conventional financing available and the need of new age companies. ORIGA is critically positioned right in between to bridge that gap. "One of the key aspects of ORIGA Leasing is to invest significantly in building a robust technology-right from customer acquisition to asset management. In addition to innovativeness in our leasing products, we also aspire to become world's largest fintech leasing company. We expect to touch an asset book for USD 100 million within the next three to four years just in India", says Shrirang who is excited to have a technology fund '500 Startups' as its investor. He further added that the fund raised will be used towards leasing of assets, people and technology. According to Ulhas Deshpande, Investor and Board member ORIGA, "It is an innovative business model that would immensely help mid size entrepreneurs gain access to much needed funding. In fact the market opportunity is huge considering that 46% of the SME financing in Europe and 72% of SME financing in America takes place through asset leasing. In India, it is less than 1% of the total credit disbursed." ORIGA is upbeat about having strong technology in place to deliver the leasing product. This, it believes, will not only scale up the business but will also provide opportunities to take it to other geographies facing a significant credit gap. Giving an investor's perspective, Harshad Lahoti, Founder & CEO, ah! Ventures says, "ORIGA Leasing is one of the first companies in India to provide asset leasing solutions for the high growth unbanked and under-banked SMEs. Their hybrid model offers a perfect blend between online discovery and offline delivery of financial products thus helping achieve scale. We believe that the each vertical of Origa has the potential to touch millions of dollars by themselves and ORIGA could, within the next decade, very well aspire to become a bank and contribute to the ongoing financial inclusion drive of India". 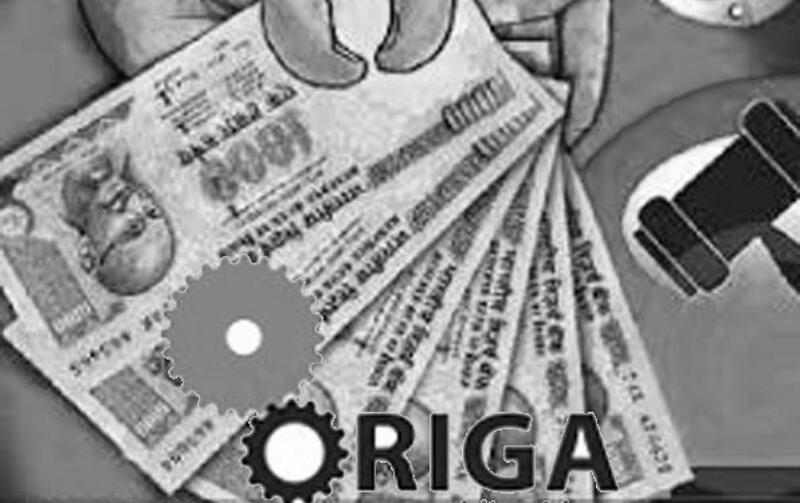 "The most exciting thing about ORIGA is that it is democratizing how SMEs in India can procure and manage assets that typically have a high capex. This is an incredibly large market that's been underserved by traditional sources of credit. It's another example of disrupting the status quo in Indian finance and we are thrilled to be a part of the story." says Pankaj Jain, Partner at 500 Startups. Both ah! Ventures and 500 Startups invested in ORIGA through the CLUB ah! platform. CLUB ah! is India's first full-spectrum startup investment network and platform comprising of over 500 investors, including some of the renowned angels and early-stage VCs. CLUB ah! platform today has over 4500+ startups, 465+ seed/angel investors and over 65 VCs & institutional investors, making it one of the largest platform of investors and startups. The network also recently secured its first profitable exit from Harness Handitouch within 2 years of its investment. CLUB ah! has till date invested close to INR 55 crores in over 20 startups spread across varied industries and domains, including ORIGA. ORIGA Leasing, through its business model, will contribute significantly to various initiatives of the Government such as Swacchh Bharat Abhiyan, Make in India and Startup India. "It was exciting to see that all the sectors ORIGA started off with in 2013 are foremost in the initiatives taken by the present Government", says Nitesh Damani, Director of Sugal & Damani Group and one of the key investors. "Financing through asset leasing for revenue generating assets creates capacities, capacities creates jobs and income, which finally goes towards contributing to the GDP of the nation. We are inculcating a new thought â€“ financial inclusion at B2B level" concludes Shrirang.